Exceptional softness plus stretch for comfort and a great fit. 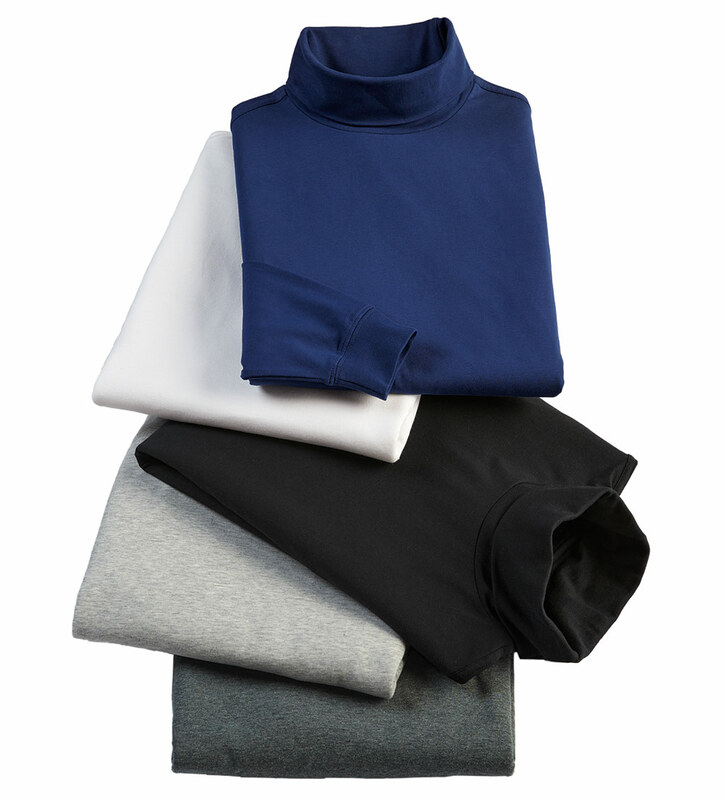 Long sleeves, ribbed turtleneck and cuffs, straight hem with side slits. 93% cotton/7% spandex. Machine wash. Made in Peru.